Four riders. Three days. Months to catch-up on. Fewer kilometres in their legs than they’d have liked. 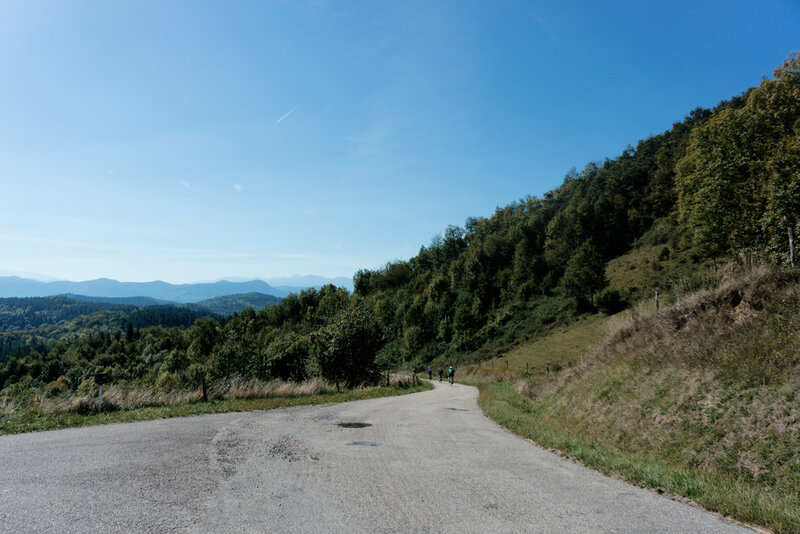 An insight into three days of riding in and around The Pyrenees. Ten’s of thousands of kilometres have rolled beneath my wheels and almost all of them have been inside the UK. Admittedly there was the brief daliance with riding on the continent, but that didn’t exactly go as planned. It wasn’t necessarily a conscious decision; more a consequence of focus elswhere. There’s something enriching about discovering what exists in your own backyard and understanding how far you can take yourself on your own steam. Why board a plane or get behind the wheel of a car when you can break new ground with nothing more than two wheels and a saddlebag? A recent trip to the small village of Gaudiès, nestled into the base of The Pyrenees, provided a multitude of answers to that question: the weather; the roads; the excitement of the new; the pastries; the ability to continually pedal up and up and up for close to two hours; the novelty of tree-lined descents that snake their way around, through and down mountainsides, taking you with them at 60kph. We weren’t out to Col bag. We hadn’t come armed with a list of iconic climbs we needed to tick off and had to visit. 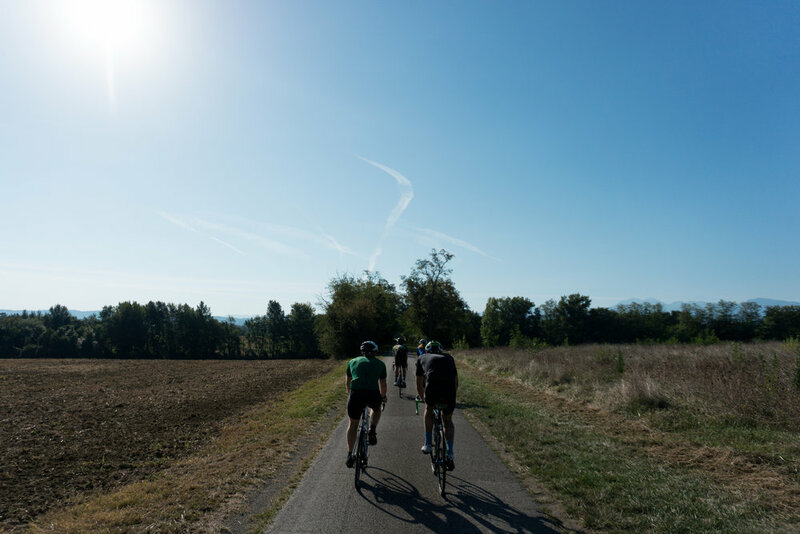 Instead, we put ourselves in the warm, hospitable hands of Mike and Joss at Zero Neuf Cycling and they introduced us to their roads. Riding abroad isn’t better than riding at home. It’s just different. Everything is fresh and, in turn, exciting. To place yourself somewhere new is to provide a reminder of how little you’ve seen and how much you love seeing it from the saddle. If a change is as good as a holiday, the two combined can be even better. Especially when your host knows there the brewery is and the sun’s almost always out.